Dubai, UAE, 20 January 2019: Festival Bay, Dubai Festival City Mall’s outdoor waterfront, has transformed into the Pirates of the Bay, complete with a captain’s ship, bridges and archways, treasure and the launch of the whimsical new IMAGINE show, A Pirate’s Tale. The new show was officially launched by Ahmed Al Khaja, CEO of Dubai Festivals & Retail Establishment (DFRE), together with Mohamed Maktari, Managing Director of Al-Futtaim Lexus and Steven Cleaver, Director of Al-Futtaim Malls Dubai. 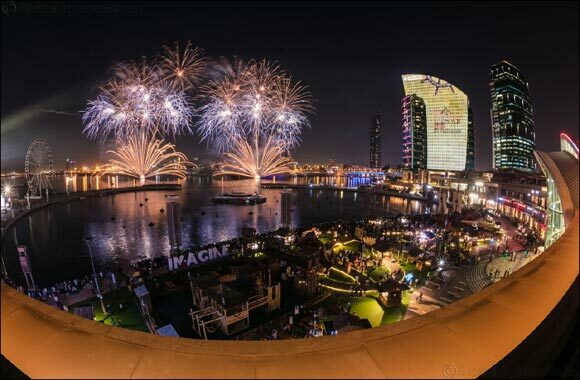 Attended by thousands of shoppers, the launch took place on Thursday, January 17th, 2019 with a remarkable fireworks display launching the festivities taking place until the end of the April 2019. The new IMAGINE show, A Pirate’s Tale, introduces a host of new beloved characters that shoppers can meet on Festival Bay. The story is built around their adventures, the mayhem, mutiny and the treachery to find the Emerald Ring. The new version of the two-time Guinness World Record holding IMAGINE show can be viewed every night, starting from 7pm. Al-Futtaim Lexus was unveiled as the Principal Partner and showcased thrilling projection on how Lexus Creates Amazing for its customers. Lexus will offer Mall shoppers a chance to experience the brand through a series of activations and test drive opportunities in the upcoming months. Parents are welcome to bring their little ones to the Pirate Playground, the sand play zone and the fun inflatable water theme park, that will be packed full of fun games and activities for children aged 3-10. Meanwhile, people of all ages can enjoy the pirate themed carnival rides, the Chill Out zone, and snap away variety of Instagram-able views and poses. There are also several pop-ups to indulge in delicious bites from food trucks and stalls. Additionally, several Pirate lifestyle inspired events, naming competitions, dress-up parties and activities are planned weekly for the whole family in the months to come.